Following the train derailment outside Santiago de Compostela, Spain, Wednesday night, 80 deaths and over 140 injuries are now being reported. Five Americans were among the wounded, a State Department official confirmed to CBS News Thursday morning. All eight carriages of the Madrid to Ferrol train came clear off the tracks near the Galacian coastal town Wednesday, in one of the worst train crashes Spain has seen since 1944. The president of railway firm Renfe has claimed that the train definitely did not have any technical faults. "The train had passed an inspection that same morning. Those trains are inspected every 7,500km... Its maintenance record was perfect," he told journalists. Although the public works minister has said that it's too early in the investigation to draw any concrete conclusions about what happened, Spanish newspaper The Local reports that that the train driver admitted to going "at twice the speed limit." Another official source has corroborated that speeding is the most likely cause of the accident, especially since it occurred right as the train was reaching a bend in the track. 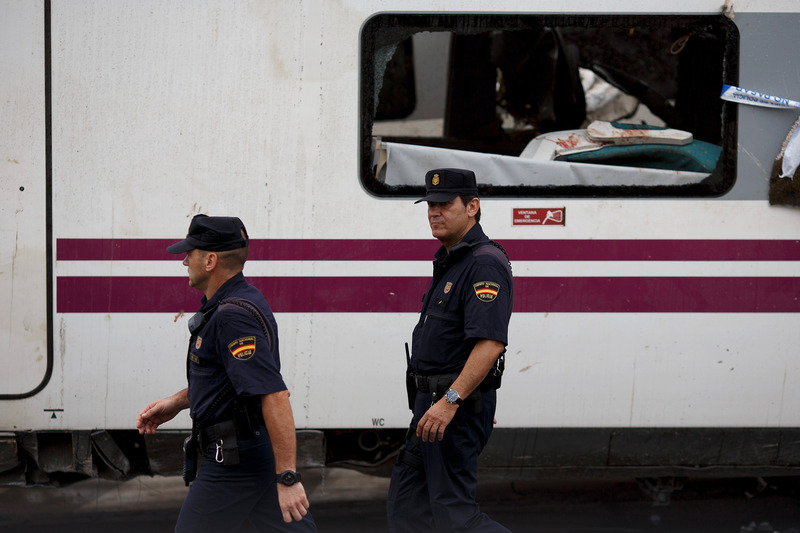 According to Reuters, Spanish police have now put the train driver under formal investigation. Prime Minister Mariano Rajoy has called for several days of mourning throughout all of Spain in an expression of solidarity with the families of the victims. The city, which was preparing for the annual festival of Saint James, has now cancelled all festivities as well.